The BBX Investigation has ripped open the Commercial Barter industry and this will have global ramifications. Michael Touma, founder of BBX, while he was alive had an aura of invincibility, but with his passing, the demise of his business has now shown all the scam it truly was. Despite the desperate efforts of IRTA to cover it all up, as the authorities investigate, first in New Zealand and then across the globe, the barter industries worst fears will inevitably come to pass – regulatory intervention. The sooner the better in my book! I conclude The BBX Investigation with my analysis of how the BBX saga will ripple out and affect the global barter industry. Commercial barter has had its day. In the last 30-40 years the traditional barter business model has risen and in the last decade fallen away remarkably. There are lots of reasons for this but the rise gave huge opportunity for the manipulators of this world to profit at others’ expense. Many still do, but the payday of theft and pilfering of the value in a barter currency is always currency debasement and the downwards slide is inevitably terminal. Yes, it is perfectly possible to run an “honest” barter exchange. Some are doing that, but I can only count them on the fingers of one hand. The rest, including many hiding within the IRTA fold, the likes of Bartercard, take advantage of the huge opportunity that creating credit affords those who control it. Even IRTA’s own industry guidelines permit the use of members’ credit for the business owners’ purposes. It’s not a simple matter to deal with because to determine when “priming the pump” by creating trade for the sake of it becomes real currency debasement is a grey area. IRTA’s own policy is hotly contested by some in the industry. For me the measurement by a third party on what a “good guide” is simply doesn’t matter in the slightest, just as long as it is known by the members and there is some validation of that knowledge. As long as I know that there is 1% or 3% or even 20% debasement is enough for a trader to make wise decisions. The point for me is not what the debasement actually is, it is whether it is known, visible and can be or is checked. Commercial barter companies seek to hide their actions and decisions and to control the credit of their members – the last thing they want is for the authorities to start sniffing around and certainly not take control of their capacity to manage credit issued off the backs of their members’ goodwill. The pressure of intervention though is a global trend, towards more legislation; more central control; more intervention, not less. With the demise of BBX in a shower of sparks, and the impending implosion of Bartercard, (BBX’s bigger Australian brother) regulatory intervention is simply inevitable. This is how I see the events unfolding. I am clear in my mind HOW this will occur. The timing however I cannot predict. It’s likely to be longer-term than in the shorter term, but this could change if the New Zealand authorities take firm fast action to rectify what they see as a serious problem. New Zealand is key here because for better or worse, Kiwi’s exposure and brand recognition to barter systems (primarily Bartercard) is higher than any other country. We’re a smaller country with a population of only 4m. We have a ‘can-do’ attitude and a ‘get-up-and-go’ style to doing business creatively. We are also more trusting than many other cultures. Commercial Barter suits us. We are also less tolerant of crooks and corruption, rating highly on the least corrupt countries to do business with . . . AND I am located here. Don’t laugh, because I mean it! When Australian based barter organisations come ‘across the ditch’ and pitch their wares to us Kiwis, then are found to be liars and crooks, we strongly independent Kiwis (yes with a little insecurity and desire to prove ourselves) can easily punch above our weight. I am one of them and am motivated to rid the country of the crims, crooks & crazies of this industry. I see the NZ Commerce Commission as key to future events in this industry, not only in this country but globally. As the Comcom finds out the extent of the problem from investigating BBX’s failure, and as their attention turns to the big, bad, boy of the industry Bartercard, I find it inconceivable that they will not act. What they do is anybody’s guess but I will be agitating for constructive changes to bring some transparency and to enforce accountability of some sort. 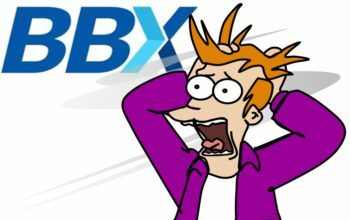 BBX will be gone long before there are law changes but their witnessing of the devastation of the majority of 498 New Zealand businesses losing $6.9m from fraudulent operation of a Commercial Barter exchange (BBX) must surely trigger an in-depth analysis into the Bartercard operations too. Such investigating I can assure you will present a very similar picture – huge currency debasement and even greater losses going back just as long, and even further than BBX’s. I repeat here that the core concept of a commercial barter exchange is sound. Businesses using an alternative currency to the Legal Tender cash, and trading among themselves is fine. Having a network of businesses using an alternative currency to trade is legal, moral and indeed can be good business for those associated, BUT there is a huge issue of trust – trust that the currency will be managed ethically – basically that the exchange will be ‘good-for-it’. As can be seen by the BBX saga, and my previous blogging about Bartercard, the temptations are too big for the foxes that guard the henhouses. Indeed one could say that the opportunity is like a golden magnet to crooks! The problem is that there is no accountability for the value of the alternative currency. As a trader I do not know that real goods and services are being sucked out of the system by the elite. As it gets harder and harder to spend my Trade Dollars I can assume that something is going wrong, but the ‘Smiles in Suits’ that run the show don’t put their smiles on for nothing – they are good at presenting things as all good and rosy while at the same time, helping themselves with the hidden hand. While there are many metrics to indicate the health of an exchange there is one sure-fire way to establish the value of the currency and it is the balance between members in credit and members in debit. The number one thing I want to know and to see, as a trader is that if I invest $1.00 worth of goods or services into a barter exchange is that I will be sure to get $1.00 worth of goods or services back. If I look at the members in the system and know who will take my credits I can make a good business decision. When I go there, and they say, “Sorry, not taking trade!” and this is repeated by all traders across the country, then I know that I’ve been conned. If more than 50% of the members won’t take my funny-money then the balance between debits and credits in the system is out of kilter. The foxes have the hens . . . just feathers left to eat . . . That’s BBX! When emotion rules unchecked, business suffers.